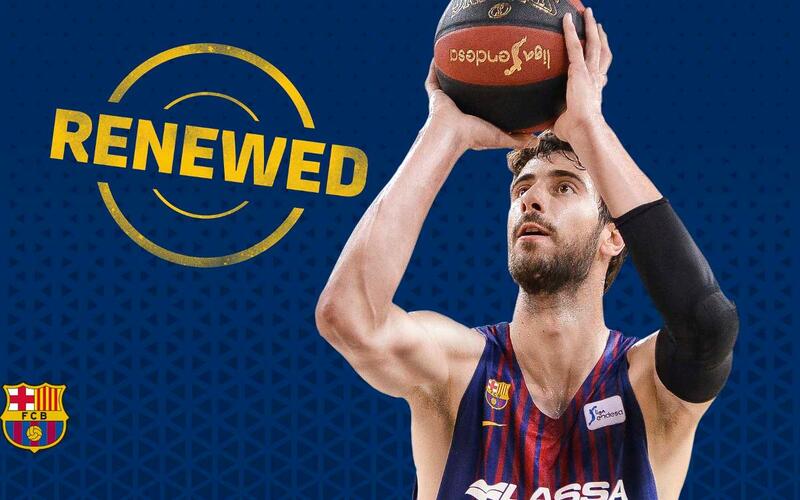 Ante Tomic will continue to wear the Barça Lassa shirt for two more season until 30 June 2020. The 31 year old Croatian center came to the Club six years and is the foreign player with most appearances for the team with 455. Last season, 2017/18, Tomic averaged 9.7 points and 4.9 rebounds in the Euroleague in an average of 19 minutes per game. In the Endesa League he recorded 10.6 points and 5.6 rebounds per game and historically, Tomic has played 236 matches in the league as a blaugrana with an average of 11.5 points and 173 in the Euroleague at an average of 10.6 points per game. Since his arrival, Tomic has won the ACB league (2013/14), two Copas del Rey (2013 and 2018), an Endesa Super Cup (2015) and six Catalan Leagues (2012, 2013, 2014, 2015, 2016, 2017).